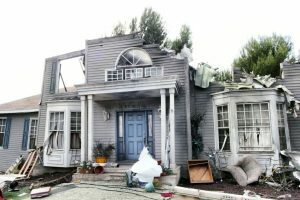 Many Florida residents and business owners know that their standard renters, homeowners and commercial property insurance policies don’t cover flood or hurricane damage. That’s why they turn to Five Brothers Insurance for any flood and hurricane insurance policies that they might need. These excess flood insurance and hurricane insurance policies help bridge the coverage gap and keep them protected when they need it most. At Five Brothers Insurance, we can provide you with the answers to your flood and hurricane insurance policy questions and provide you with quotes from several of the world’s leading insurance carriers. For nearly 30 years, we have been serving the insurance needs of Florida home and business owners, and we are still family-owned and operated to this day. As one of the few independent insurance agencies covering the market today, we have the freedom to shop for the insurance policies that best meet your unique needs, and we’ll work closely with you to find you policies that meet your coverage requirements while staying within your budget. When you choose Five Brothers Insurance, superior customer service won’t stop the moment you sign the dotted line. In fact, our policyholders often recommend us for our dedicated service and ongoing support. If you have claim questions or need assistance filing a claim, your dedicated Five Brothers Insurance agent will always be there to help. If you are looking for flood and hurricane insurance or have any other insurance needs in Tampa, Orlando, Clearwater, St. Petersburg, Lakeland or the neighboring regions, contact the expert agents at Five Brothers insurance today. We can help you find the excess flood insurance or other insurance policy that meets your needs without breaking your bank, and we look forward to serving you!